Hailey is 5 years old and 4ft tall. She had a major growth spurt or her being more vertical has made people think she's grown a ton. 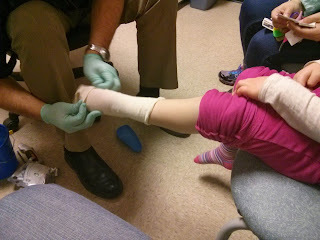 Either way every 6 months we have to get Hailey fitted for new AFO's (ankle foot orthotics) and we are certainly due for them. I think we are pros at the process by this point. The hardest part of getting new AFO's is having Hailey pick what kind of plastic and velcro she wants. TOO many decisions! 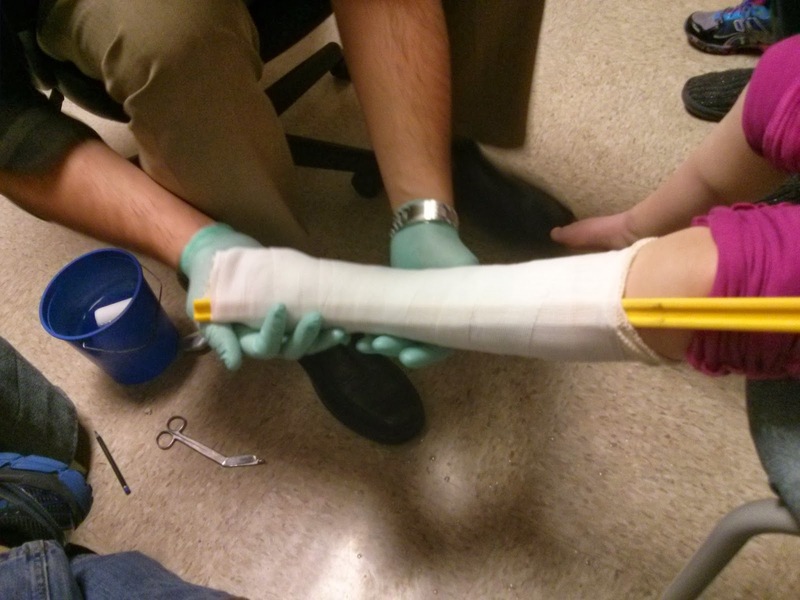 Casting for AFO's is just like putting a cast on a broken foot. I think it's pretty much the same materials even! Measurements need to be taken. You have to hold still while the plaster dries. This is the first time Hailey didn't cry. 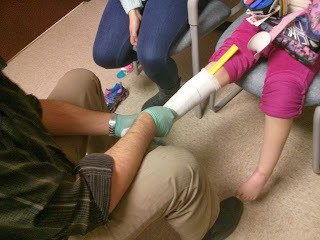 She did give the tech a sideways look when he had to cut the cast off. After the appointment was done Hailey asked for a lollipop. They have a lot of patients with diabetes so there are no lollipops at the office. BUMMER! The AFO's should be ready in about 3 weeks. I'm hoping they will be done earlier so we can break them in and take them to the Walk for Wishes event. Right now the braces she has are way to small and I hate forcing her to wear them. She doesn't complain but we are going to try and only wear them when we HAVE to. 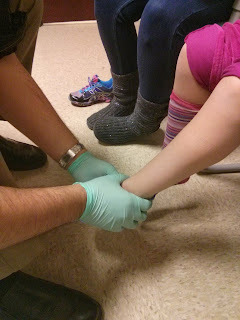 Without her AFO's Hailey points her toes like a Ballerina and it's 10x's easier to get cramps and spasms. 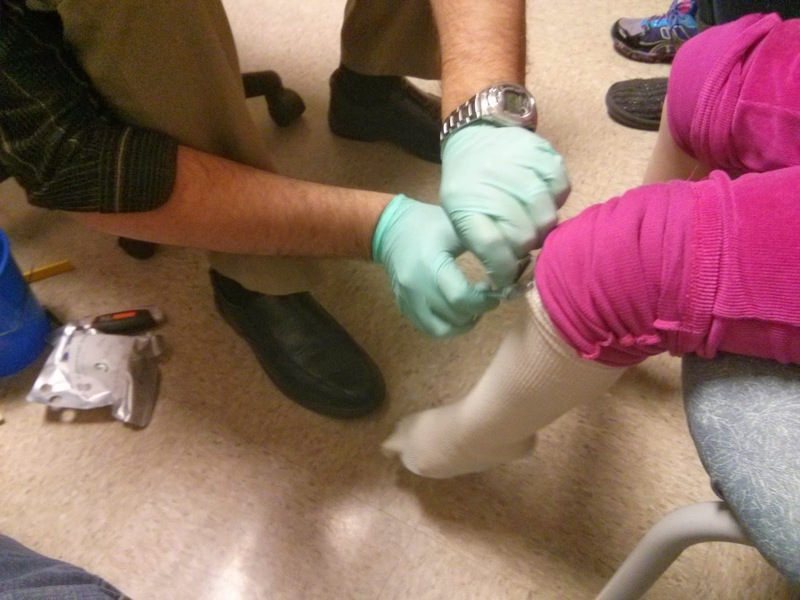 You can see in the photos that her foot is pointed when her shoes are off. This time we went with stars instead of hearts on the braces and we went with blue, purple and of course PINK! I'll let you know what they look like when we get them!